I’ve got introduced today to a new, free, cloud-based, collaborative, project-management tool that looks very promising and offers great flexibility and ease of use: meet Trello! 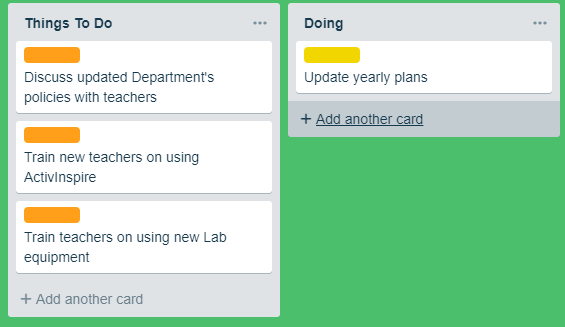 Trello uses a visual approach to managing your project, tasks can be added, modified, color-coded and moved from one category to another in a snap. Trello is intuitive and very user-friendly, there is practically no learning curve involved since you’ll most likely be recycling your basic knowledge of using a drag-and-drop user interface.